Many of us “international creatives” are attracted to the world’s major cities. Take me, for instance. 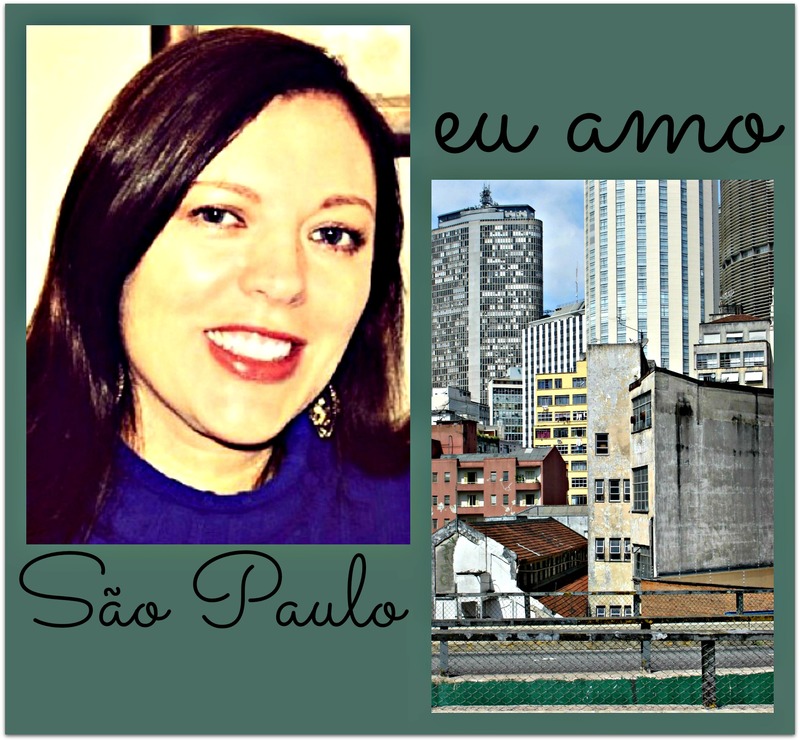 I live in, and write about, São Paulo, the largest city in Brazil, and in the Southern Hemisphere. Today I’m happy to introduce a fellow expat who has ventured out as far as Curitiba, the largest city in Brazil’s South Region. B. Michael Rubin has a creative job, and he also finds Curitiba, a forerunner of the eco-city, a source of daily enchantment. My first night in Curitiba, I awoke at 3:00 a.m., jet lagged after too many hours of solo travel with a ridiculous amount of luggage. I got up and drank some water, and it was then I noticed birds singing outside my window. I wondered if all expats were greeted by nocturnal serenades. In the morning, surprisingly, it seemed the same birds were still singing. I could hear their melodious songs even though my apartment was on the tenth floor, making them a flock of super-birds. The conclusion of an American on his first expat experience: the birds here are so happy they can’t stop singing; they must think they’re in paradise. Adam and Eve discovered that paradise can be transitory, but after six years I have no desire to leave the lovely city of Curitiba, in the Brazilian state of Paraná. As every expat ascertains, adjusting to a new world is not easy; it’s a challenge simply to be polite in a foreign culture. I’ve learned to say “Excuse me” when I enter someone’s home, and that it’s acceptable to kiss a woman I’m meeting for the first time. I’ve discerned it’s impolite to ask anyone to close her window at home or in the car, even on a cold winter day in the south of Brazil. Unfortunately, this lesson was revealed while asking my frail Brazilian mother-in-law why she had her apartment windows open, as she sat buried under a mountain of blankets. For expats, daily life is an adventure in wonderment. I wonder how no one expects a tip here—not the taxi driver, the barber, or the pizza delivery guy. I wonder how the price of everything is negotiable, and when I negotiate with an offer of cash, I can still pay with a credit card if I don’t want parcelas [paying in installments]. When I pay a doctor, I get a discount if I don’t request a receipt. I marvel at the everyday site of twenty people in a Curitiba restaurant having a pleasant family lunch. In the US, this only happens at a wedding or a funeral because twenty family members don’t live in the same city. If they did, there would be trouble. Living in a new world becomes easier when we focus on the similarities—aren’t we all humans sharing the same planet? There’s a crazy comfort in knowing Brazilians are as preposterous as everyone else. In other words, every country is a mystery. For instance, I can’t explain how Brazilians have so effortlessly embraced the 21st century: Forty years ago, no one in Curitiba had a telephone, a car, or had been on an airplane. I don’t understand politics in Brazil. How can a country govern itself with more than thirty political parties? In the US, two parties are sufficient to create chaos. Meanwhile, the electronic banking system here is outstanding. Americans don’t believe me when I tell them it’s possible to pay the mortgage at an ATM. Another wonderful mystery: In the days of the military government, Curitiba “elected” a visionary urban planner to be mayor for 12 years. It is a rare opportunity when an urban planner/architect runs a city. During that time, Jaime Lerner built one of the best urban bus systems anywhere; established mandatory recycling for all homes and businesses; created the first outdoor pedestrian mall in Brazil; and expanded a park system that made Curitiba one of the greenest cities in the world. Senhor Lerner was so good at city planning that the population has doubled in 40 years. Who knew. Sure enough, a few minutes later we entered the local mall, and I observed three young men in the mall’s restroom brushing their teeth. My girlfriend, however, refused to accept my homeless sighting, a trio no less, and insisted we wait nearby. It was my first, but not my last, moment of supreme cultural stupidity. Men in their twenties brushing their teeth at work. Who knew. Today, I know that my wife keeps a toothbrush in her office so clients won’t see food in her teeth. For the same reason, women in the supermarket on Saturday morning are in full make-up and high heels with silk scarves that match their nail polish. 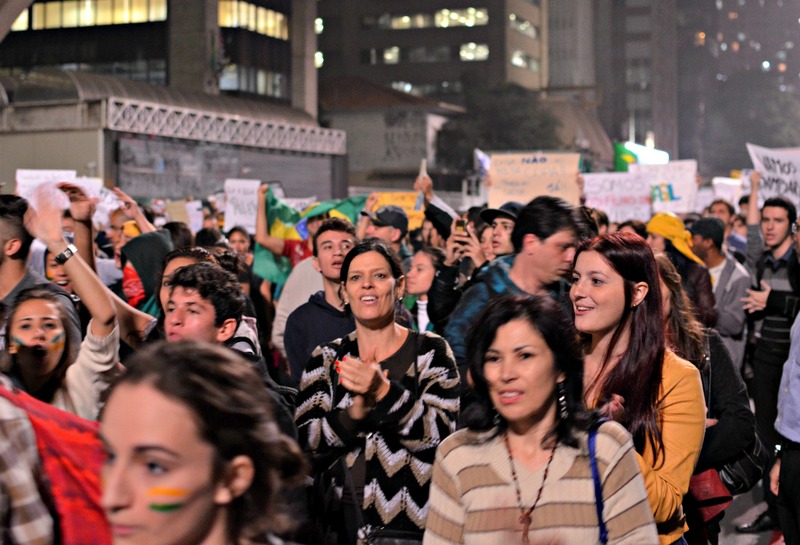 Like the proud, beautiful city of Curitiba, Brazilians are a proud, beautiful people. The myths I’d heard are true. Who knew. Readers, your turn! Do you feel similarly enamoured of your adopted land, or has the enchantment worn off? Please leave your thoughts for Michael and me in the comments! B. Michael Rubin is an American living in Curitiba, Paraná, Brazil. 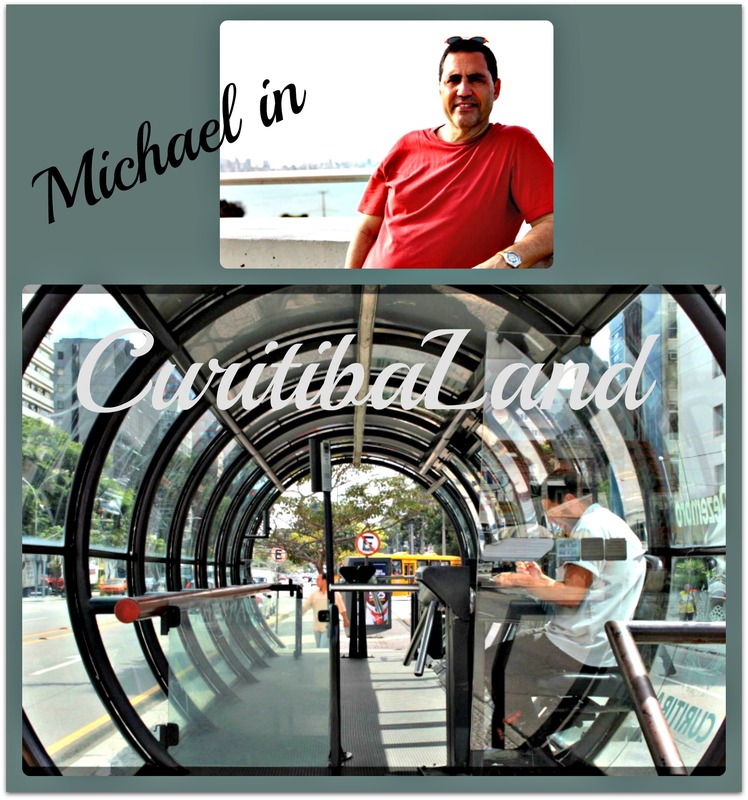 He is the editor of the online magazine Curitiba in English. STAY TUNED for tomorrow’s interview with this month’s featured author, Cinda MacKinnon! Pay no mind to the travel experts — beauty is in the eye of the beholder! Images (from left): B. Michael Rubin in João Pessoa (no, he doesn’t have a photo of himself in Curitiba!) and the Curitiba tubo, courtesy marcusrg via Flickr (Creative Commons license CC BY 2.0). We think it doesn’t take much imagination to see the cylindrical, clear-walled tube bus stations as the Curitiban equivalent of Alice’s rabbit hole or looking glass. After all, the city’s Rapid Bus Transit System (Rede Integrada de Transporte, or RIT) is rather wondrous: the first of its kind in the world. 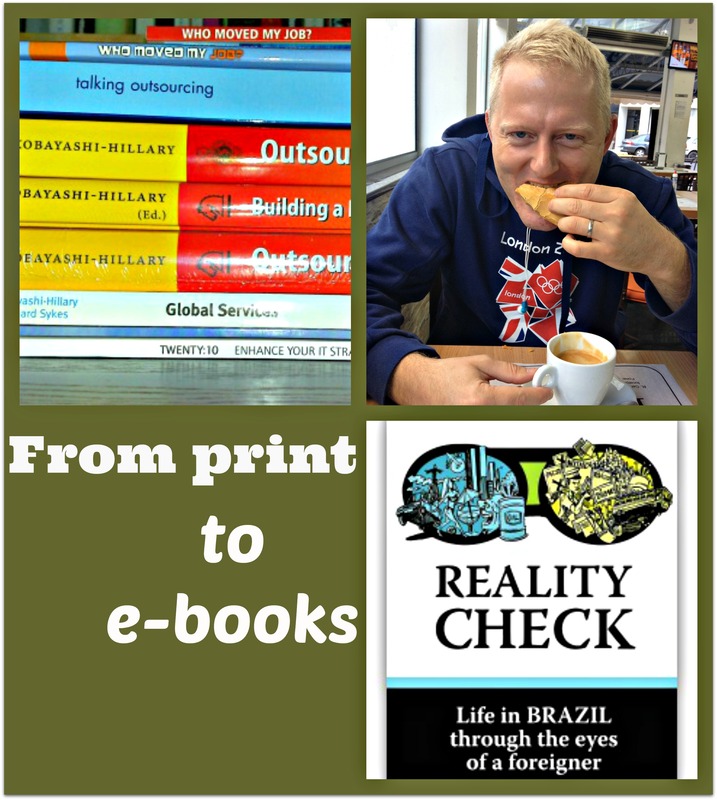 In Part 1 of my interview with Mark Hillary, a fellow Brit and amigo in São Paulo, we learned about what spurred him to write a book called Reality Check: Life in BRAZIL through the eyes of a foreigner. A lively discussion ensued about what makes Brazil such a contentious country for expats (short answer: it’s a country of extremes). Today I’ll ask Mark about his decision to publish Reality Check as an e-book. As I mentioned last week, Mark is well published in his chosen field of technology and globalization. He is a HuffPo columnist and has also blogged for Reuters about British politics. But Reality Check represents his first venture into the Amazon e-book platform. I was curious about why he chose this route and also had some questions about his reading and writing habits generally. Mark, Reality Check isn’t the first book that you’ve written. Can you tell us something about your other books? It’s actually my tenth book. I used to be quite a senior IT manager in a bank, managing people all over the world. I had already started contributing articles to technology magazines while I was at the bank, and eventually I was sent off to India to help the company build up a big new office in Bangalore. I was hiring hundreds of technical team members and then trying to sell their services bank to other sections of the bank. It was quite an experience, especially as it occurred right at the beginning of the big push to India by many technology companies. 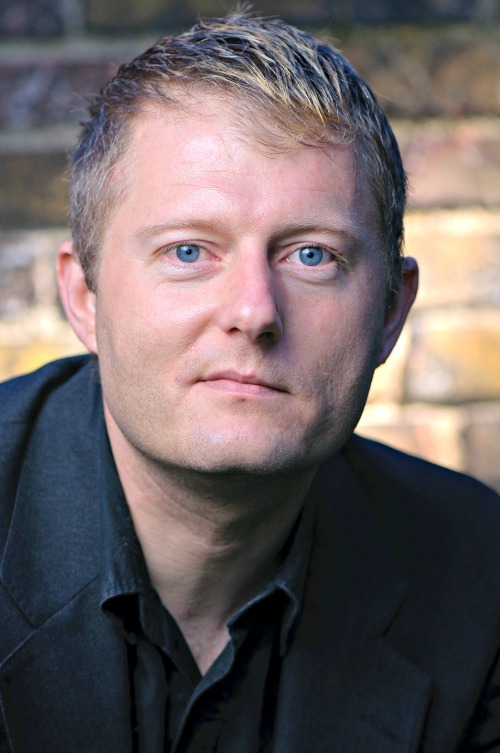 I wrote a book about it all, which was published by the respected German publisher Springer and well received in journals and newspapers such as the FT.
After that I carried on writing about the connection between work, technology, and globalization. It’s impressive that you can span the range from big IT questions to a foreigner’s take on life in Brazil. I’m interested in many areas, which is probably why my three times at university have included courses on computer science, business and management, and psychology. My earlier work on outsourcing naturally led me to how companies are changing and globalization, and this has naturally led onto my writing about being an expat. If there’s a connecting thread, it’s work and the changing nature of work in our time. That said, I wouldn’t want to only ever comment on a single topic. Life is a lot more complex than that. You decided to release Reality Check in the Amazon Kindle format. Why did you make that decision? I’ve been asked that question a lot. 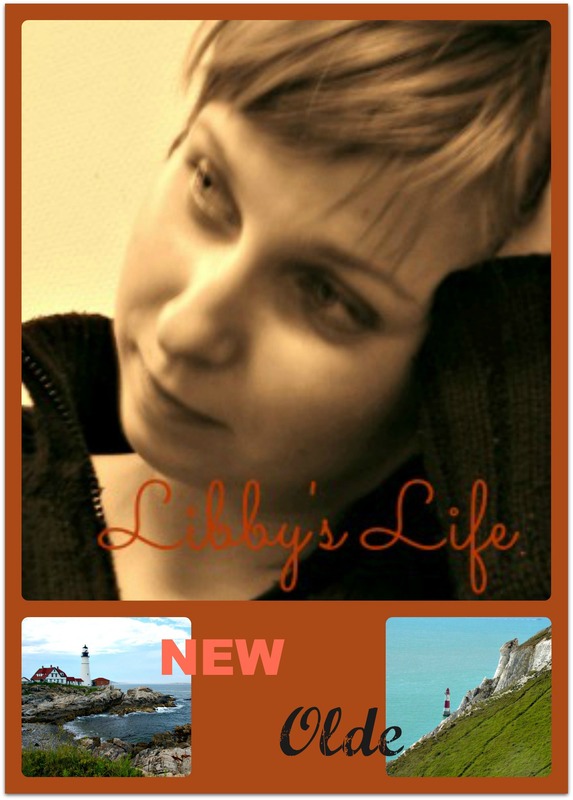 Six of my books were published using traditional publishers, and three were self-published via Lulu. And now, with the Brazil book, I’ve used the Amazon Kindle format. I went into some detail on the pros and cons of each of these methods in a recent Huffington Post article, but in short the important thing to remember is how the publishing market is changing. Obviously there is still a lingering sense of kudos with the traditional publishers. A novel published by Penguin is still seen as “better” than something self-published, but it doesn’t have to be. The platform and process of publishing itself has just been democratized and made available to all. If you know how to write and you can market your work to an audience, then it is much faster to publish with Amazon or Lulu. And, not only can you reach a global audience instantly—you earn a far greater percentage of the sale price. In the case of Reality Check, I wanted it to be available around the world as quickly as possible, and Amazon has a great system for doing that. Plus you don’t actually need a Kindle: iPads and phones are all being used to read this book. Do you think it helps that you already had a following through your writings and other books? Reality Check has has been in the Amazon top 20 books about Brazil since publication on September 1st, and yesterday when I checked, it was the number one book about Brazil and number two book about South America. So people have been noticing it. I think it does help if you already have a following. It used to be that publishers and agents acted as the gatekeeper, so readers could be confident a book that ended up in the shops was good. Now anyone can publish any old rubbish, so there is no longer that guarantee of a published book being any good. The much-celebrated poet Seamus Heaney is a good example. He has been lauded as one of the greatest writers of the past century, and he had plenty of work published by traditional publishers. But he was self-publishing new work before his recent death. Do you plan to make Reality Check anything other than an e-book? I’m planning to also release a paper version of the book, but it will not be until the second edition—planned to come out just before the World Cup football competition in June next year. The present one is about my own experience of ghostwriting. I’ve written for ambassadors and company CEOs, and I once had to help astronaut Neil Armstrong add a few jokes to his standard Apollo 11 speech. The work I have written for others to be delivered in their name has often, but not always, gone down well, and I wanted to explore that. And in the tech area, I’m working on a book project that aims to be a graduates’ guide to how you get a job in a job market where nobody wants to pay you a salary. 1. Last truly great book you read: I recently read all of Ira Levin’s novels back to back—all great; but I’ll go for Paul Trynka’s biography of David Bowie, which I just now finished. 2. Favorite literary genre: Dystopian novels: Burgess, Orwell, Ballard. 3. Reading habits on a plane: I read fiction and non-fiction and always carry my Kindle because it’s so much better for travel than lugging around a lot of books. This week I was on a plane and I read The Default Line, by Faisal Islam—about the financial crash of 2008 and what has happened since. 4. The one book you’d require David Cameron to read, and why: Why It’s Kicking Off Everywhere: The new global revolutions, by Paul Mason. 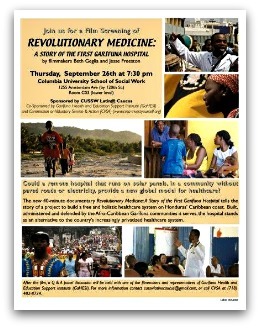 It’s a study of the various riots, uprisings and protests around the world, particularly in 2011. I think the UK has more unrest to come because living standards and earnings are in decline—the people are going to kick off again one day. 5. Favorite books as a child: Those by Roald Dahl, though everyone seems to think he was actually a nasty piece of work in real life. 6. Favorite heroine: Harper Lee. To Kill a Mockingbird was her only book and she never courted any publicity. It challenged racism over 50 years ago and still retains its power today. 7. The writer, alive or dead, you’d most like to meet: Oscar Wilde. He wrote 20th-century books and plays in the 19th century and despite his sad downfall, is still remembered and loved today. 8. Your reading habits: I mostly read in the evening. I don’t watch TV, other than for movies so that gives me more time. I tend to read one or two books a week unless I’m traveling a lot then it’s more just because of the endless time spent in airports or on buses. 9. The book you’d most like to see made as a film: The Drowned World, by J.G. Ballard. Life after the oceans have risen and the world we know now is flooded. 10. The book you plan to read next: Jesse Norman’s biography of Edmund Burke—already on the Kindle waiting for me. STAY TUNED for tomorrow’s post, by another Englishman who is also an expat albeit in California: Anthony Windram. images: Mark Hillary surrounded by his traditional books and his e-book cover. A little while ago I interviewed Megan Farrell, a fellow gringo in São Paulo, about the book she had written about “exbrat” life in the city. As far as I’m aware, Megan’s was the first book to be written about life in SP by a foreigner, although she seems to have started a new trend because within the last fortnight another has emerged: Reality Check: Life in BRAZIL through the eyes of a foreigner. 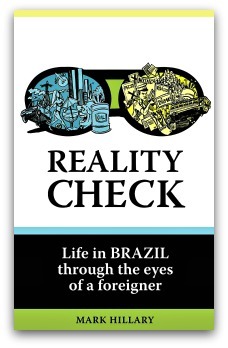 Reality Check is by Mark Hillary, a fellow Brit in São Paulo (he recently moved outside the city), who is an author, blogger, and advisor on technology and globalization. He has already published a number of books and is a contributor to Huffington Post, Reuters, The Guardian, and Computer Weekly. Mark is also a friend of mine. We connected through Twitter just over a year ago. We eventually met at a local bar when—unsurprisingly, given his background in technology and social media—he organized a meet-up of gringos who had connected online but had yet to meet up in the flesh. Over the past year Mark has written, in his column for the Huffington Post, a number of insightful articles about life as a foreigner in Brazil—most notably, “No HP Sauce, Endless Red Tape: Would You Want to Live in Brazil?, which responded to a gringo Facebook forum that had listed all the reasons why foreigners hated living in this country. It was to my pleasant surprise, then, when Mark announced he had extended his account of life in Brazil and intended to publish it as an e-book. Leaving aside my acquaintance with Mark (and the fact he gives a nod to my personal blog in the book! ), I must say that I found Reality Check a very enjoyable read. It is a thoughtful and critical, yet balanced, account of his experiences in Brazil and of the country in general—and frankly, I’m rather annoyed that I haven’t written it myself. Mark’s book also seems to be a good accompaniment to Megan’s. Whilst hers is a straightforward, step-by-step guide to life in São Paulo, his is a narrative providing a broad overview of gringo life. Either way, both books will be of use to those who are either moving to Brazil or perhaps are simply interested in finding out a bit more about South America’s largest and most populous country (it’s also the world’s fifth largest economy). Anyway, enough of my wittering on. Let’s hear more from Mark himself. Hi, Mark. Congratulations on your new book and thanks for agreeing to this interview. First off, can you say a little more about what inspired you to write it? As you already mentioned, I wrote the book in large part as a reaction to the negative posts about Brazil in online gringo communities. Everyone has their own reasons for moving and living away from their home country, but the majority of the groups I’ve encountered online are full of complaints about Brazilian food, prices, bureaucracy… Anyone who reads the posts made in the Facebook group for Gringoes.com would think that the UK and US offer a utopian paradise that would be madness to ever leave. As you said in your intro, I wrote an article for the Huffington Post where I tried to give a more balanced view on life in Brazil. Then I thought that, as someone who has rented and bought a home, started a company, hired people, and married a Brazilian, I could probably give a more detailed opinion on the experience—hence the book. So being married to a Brazilian was what brought you to Brazil? Yes, we were living in London, but after the financial crash in 2008 my business was much slower than before. By 2010 it became clear that there were many more opportunities for me to build a research and publishing business in Brazil than in the UK and so we moved just before the end of that year, nearly four years ago. 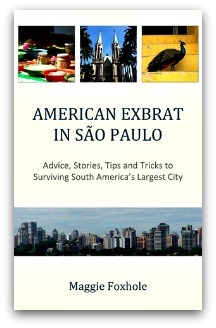 We recently featured another book about expat life in Brazil: American Exbrat in São Paulo, by Megan Farrell. Megan’s focus was on the “exbrat” community in São Paulo—i.e., those who are transferred here for work by a large company. My impression is that your focus is less specific and more of a broad overview of life in Brazil as a foreigner. I’m not really interested in the exbrats. If a big company transfers someone to Brazil and they have their home taken care of and a driver to ferry them around, and they only ever go for a drink in expat pubs, then I don’t think they are experiencing the real Brazil. I’m not suggesting that the only authentic Brazil experience is living in a favela, but there are other kinds of foreigners here—journalists, teachers, people from all walks of life—who are constantly looking for ways to explore their new home. Did you have a specific audience in mind when you wrote the book? I really set out to explore some of my own experiences, with the expectation that people investing in Brazil or looking for a job here might have an interest in the book. The book has only just been published (2nd September) so I guess it is a little early to tell, but how has it been received so far? It is very recent, but there is already a very positive review from a Brazilian reader on Amazon. I started my author Facebook page when I published the book, and that community is growing by around a hundred people every day—so people are noticing it. One of the biggest newspapers in Brazil (Folha de SP) has been in touch to interview me about the book—despite my not having done any press promotion for the book due to my traveling almost every day since the publication! Did you connect with São Paulo and/or Brazil in any new ways whilst writing the book? It made me more determined to plug areas outside of Rio, which has a lot of friends already. I’ve really enjoyed living in both São Paulo the city and interior—SP needs a few gringo fans to speak out and remind people that the city is not just about concrete and cops murdering civilians. You recently moved to the countryside outside São Paulo—how and why did that come about? We spent two years living in the centre of São Paulo and just wanted to find something a bit quieter. I love it where we are now. There is a great sense of community; the neighbours all know each other. There is none of the security paranoia you find in the city centre, and there is some fantastic scenery on our doorstep. Do you miss SP at all? I miss being able to go out to see my friends in the city, or go to concerts by international bands that will only ever play in major cities. But we are planning to get a very small apartment in SP soon, so we don’t completely lose touch with it. You mentioned the “security paranoia” in SP. In my observation, most of us gringos carry a fear that is at odds with how our Brazilian partners and/or friends feel. I enjoyed reading the section of your book covering this perception gap. Do you think that more positive accounts of Brazil by writers/bloggers like you and myself can help to shift these perceptions? If people like you and me can get visitors to realize that they can walk down Avenida Paulista or along Copacabana Beach without fearing for their life, that would help. On more than one occasion I have met business contacts who flew into town and then were shocked when I suggested meeting away from their hotel. Standard advice from American and European companies is often to stay inside when in Brazil because of all the street crime. The Brazilians, too, should play a part in correcting this situation. I don’t think we have much influence because we are seen as outsiders, but as more Brazilians get exposed to alternative cultures through travel, I hope it can change a little. Last year I brought my wife’s teenage cousin on a trip to the USA, just to show her what life is like outside of Brazil. She found it incredible that you could walk up to the front of so many celebrity homes in Los Angeles—that anyone could walk into Sylvester Stallone’s garden. That’s unimaginable in Brazil. What are you thoughts on foreign media portrayals of Brazil? Do you feel, for example, that persistent foreign criticisms of Brazil’s preparations for the World Cup and Olympics have been fair? Every World Cup and Olympic games gets this negative press, so I don’t know if it is any worse than the last time. Anyone from the UK should be able to recall how the London Games were going to be a disaster right up to the week of the Games—the attitude seemed to change only when everyone saw that spectacular opening ceremony. All I know from personal experience is that when you and I went to the Brazil v England football game at the Maracanã in June, the organization was superb. The stadium looked good, the public transport all worked, and the volunteers helping the crowd were great. I couldn’t fault it—so I’m really looking forward to the World Cup. From the way you write so passionately about Brazil it is clear that you love living here, but there must have been the odd difficult moment when you wondered whether you’d made the right decision in fleeing the economically stagnant UK for your wife’s native land. When have you felt most displaced? Sometimes the bureaucracy in daily life does get perverse and goes beyond just the criticism of a foreigner claiming that it all works better in Europe. Examples include having to pay someone to get my car registered to a new address or being fined for not paying my stamp duty on the day I agreed a mortgage with the bank—even though I paid on the day I got the documents myself. Sometimes I wonder if there is ever going to be any government that sweeps away this nonsense. I also fear that the job cuts created by improved efficiency means we are stuck with much of this. Conversely, when have been your least displaced moments, when it all seemed to make sense? I live in a really beautiful place now surrounded by a lot of wonderful people. Every morning when I take my dog for a walk then start work for the day I know I’m lucky to be here. Pay no mind to the travel experts—beauty is in the eye of the beholder! Welcome to the second installment of “A picture says,” a series that sheds light on the people who move through our planet with a camera in hand, registering the look, character, and ambiance of people and places that capture their fancy. Our guest today is Milda Ratkelyte, a camera-happy Lithuanian whose wanderings have taken her to the UK, America and now Asia. Overseas history: From least to most recent: United Kingdom (London): 2005-2008; China (Wuhan, Shanghai, Beijing): 2008-2009; United States (California, Colorado, New York): 2009-2010; United Kingdom (London): 2010-2011; Singapore: 2011-present. And now let’s meet Milda and find out: which came first, the photography obsession or the peripatetic life? Hi, Milda. Let’s talk a bit about your travels. You are originally from Lithuania but have spent a considerable amount of time in other countries and now live in Singapore. Tell me about how that came about, and what inspired your moves. I had the most amazing childhood in Lithuania. I was very lucky, because my dad was a true travel fanatic. Back then it was not easy for us Lithuanians to go traveling to remote destinations outside of Europe, but my dad found a way to get us to Kenya for a summer. From that time on, I was addicted to travel, and have been wandering the world ever since. “Explore, discover and get to know different cultures and people around the world”—that’s become my mantra. Kenya sounds amazing. Can you share with us one of the photos from that trip? I like this shot of a boy reaching for what he hoped would be candy. It’s from the early days of my camera experience, but I love it because it’s just so natural. There was no set up, no preparation. I was wandering the streets of the Watamu village, looking for the school where I was volunteering, when a group of kids ran towards me asking for candies. I didn’t have any on me, but I had a pack of pencils that I was carrying to the school, so I gave them out and decided to take a photo of the group. As I was setting up the shot, this boy ran from the end of the street. 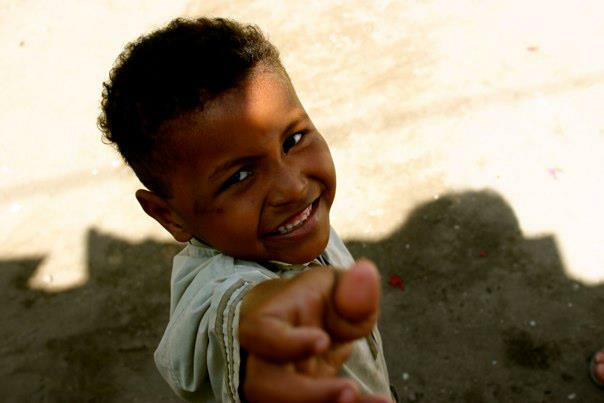 Noticing something was being given away, he squeezed through other kids and jumped right in front of the camera. How did you end up in my native land, the UK? When I graduated from high school, I knew that I want to do something travel related. 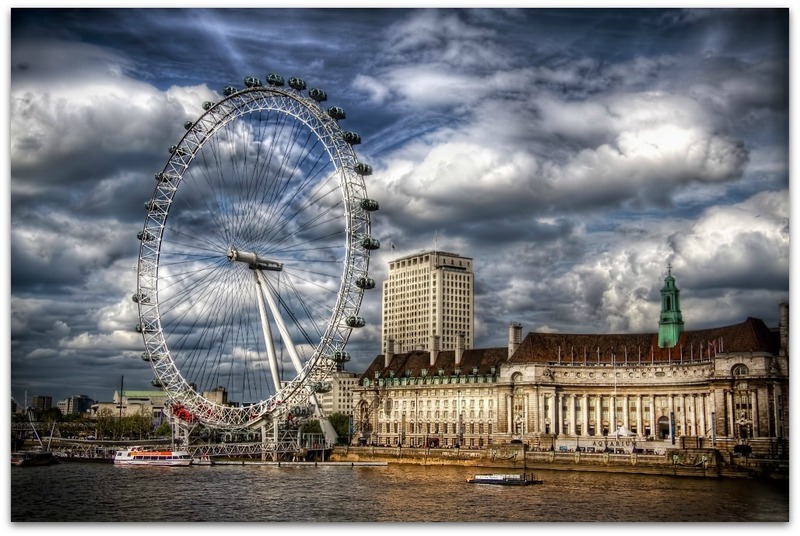 I enrolled in an International Tourism Management course at the University of Bedfordshire in the UK. 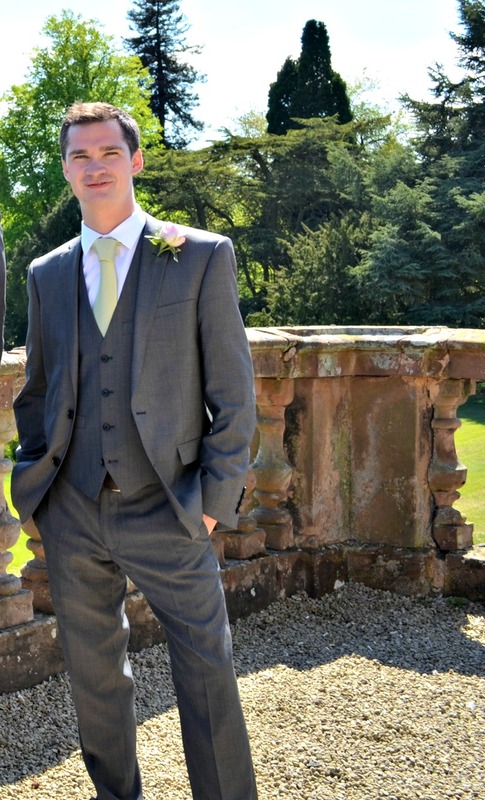 For my work placement, I was sent to work in China for the Shangri-La Hotels and Resorts, which gave me the chance to explore some other Asian destinations such as Hong Kong and Singapore. I fell in love with Hong Kong and told myself that once I graduated, I would definitely be coming back. However, when that moment occurred, reality kicked in: I could not get a visa for Hong Kong. I’d decided to stay in London when an opportunity to work for a major events company in Singapore suddenly landed on my doorstep. I had my bags packed in a few days and was on the 14-hour flight to Singapore. How do you like Singapore? I’ve been in Singapore for two-and-a-half years already and absolutely love it. Mostly, because it’s the most convenient spot in Asia travel wise. In just two hours I can be in Bali, Hong Kong, or Thailand. And Malaysia is just an hour’s bus drive away. On your blog you say you were “one lucky girl” in finding your current position as a Community Manager for AsiaRooms, a site for booking hotels throughout Asia. 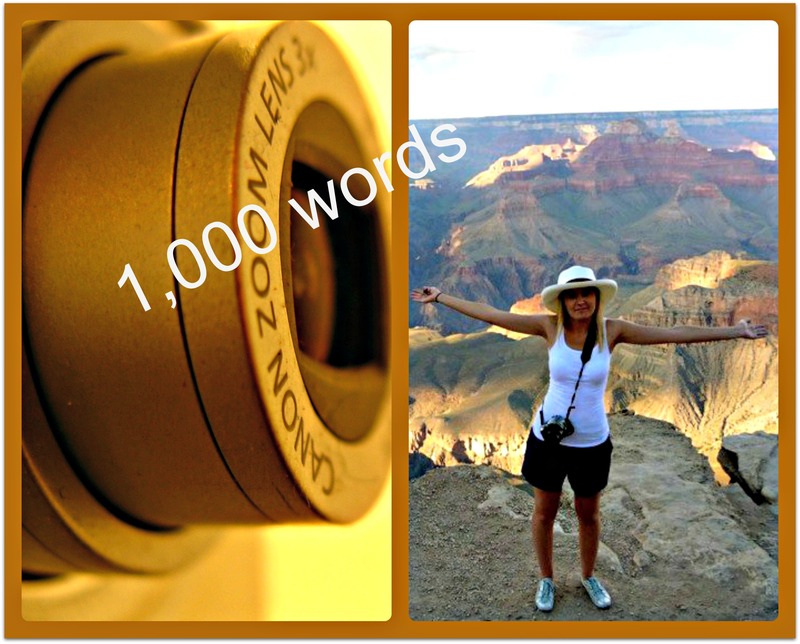 Tell us how that opportunity came about and how it fits into your life ideals and love of travel. When I moved to Singapore, I was working for an events company in the oil and gas industry. While I loved the thrill of closing huge deals, I had no life. The hours were long, with weekends in the office and sales calls at all times of the night. After about half a year, I missed having time to travel, take photos, explore and discover! I started looking around for something in the travel industry, and that was when I got introduced to my current boss, who mentioned that AsiaRooms.com were looking to hire a Community Manager. It was a dream come true. Today I can definitely say I love my job! I have been working on the launch of AsiaRooms.com Community site together with an amazing team, and we’ve already achieved some incredible results. 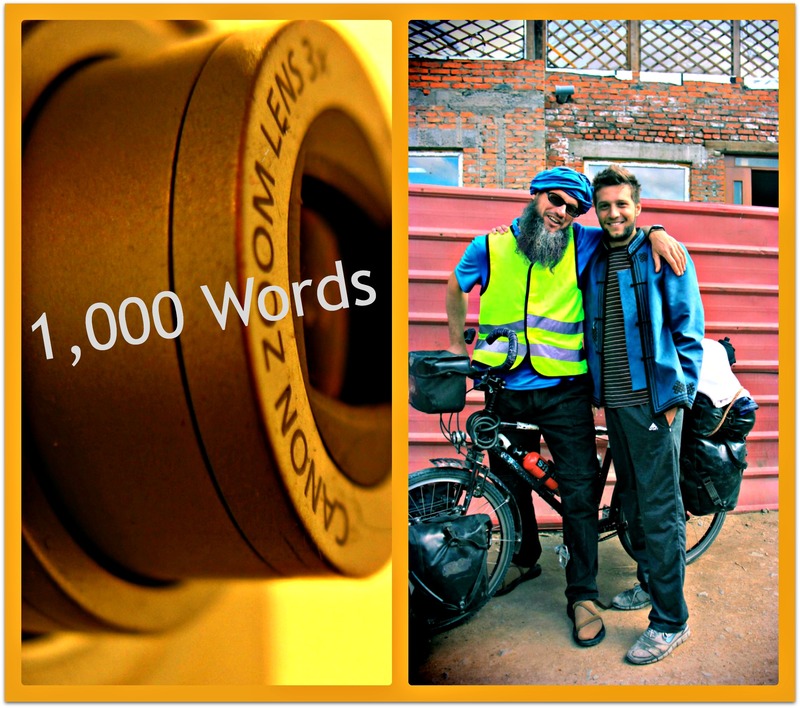 I have also gotten a chance to study and have completed MatadorU’s Travel Writing and Photography courses. But most importantly, I’m getting to work with some amazing and talented photographers, filmmakers, writers and musicians in Asia and across the world while traveling a lot! This year I will finally tick off all the places on my bucket list for Asia. On your blog you say that you love photography “and being able to freeze a particular moment in time, so when things in life change you have the one thing, one memory that never will.” What are the shots that capture some of your favorite memories? And what made them so special? It is hard to say which ones are my favorites since there are just so many of them, and every trip I make is special. But if I had to choose, I’d pick the photos from the trip to Kenya such as the one above. That was the first time I got exposed to a truly different environment. It was also the first time I experimented with my DLSR, which was a present from my dad. My dad passed away unexpectedly last year, and I feel sad that I’ll never get to travel with him again. But having those photos reminds me of him and of the reason I started traveling. I have a Canon 300D with two Canon lenses: 18-55mm and 70-300mm. When I was doing a short weekend photography course, my tutor joked: “This girl is truly passionate about photography and not equipment.” My camera was so old it did not have half of the functions they were using during the course! But although the camera has huge sentimental value, I think I will need to invest in a new one soon, since I have started MatadorU’s Travel Filmmaking course and will need a camera that can capture video. Where have been your favorite places to take photographs? Any particular shots stick out as being amongst your favorites? My two favorite spots are Myanmar and Japan: Myanmar, for its amazing people, who are always smiling, and the colors of its markets, nature and city life, as well as incredible sunsets and sunrises over the ancient city of Bagan; Japan for its nature, culture and architecture. The old streets of Kyoto, the underground cafes and restaurants in Tokyo, hip people in the Harajuku district, lush greenery and deer in Nara, and bamboo groves in Arashiyama—Japan is just naturally photogenic. In your shots of Myanmar, I noticed one of a young child. Tell me about how that shot came about and what exactly is going on! 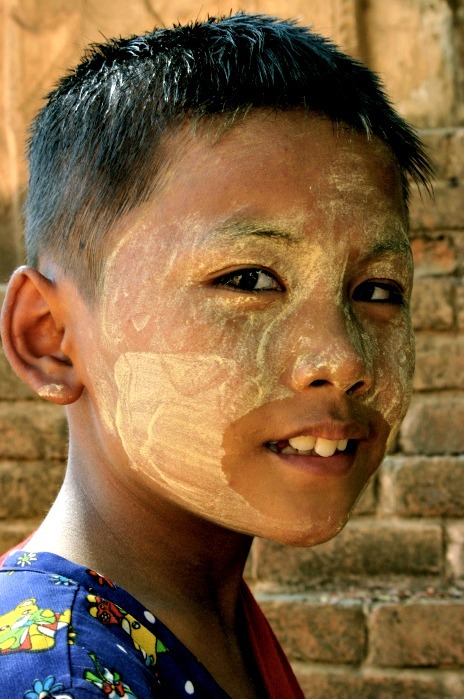 It was taken in Bagan, Myanmar, which is full of the remains of temples and pagodas. That particular morning we’d grabbed our bikes and were exploring the terrain, when I was approached by this young kid trying to sell me his drawings for a dollar. They were crayon drawings of the temples, neatly packed in plastic bags. The boy spoke almost no English, but soon he became my little tour guide, showing me around all the ruins. After our little tour we sat on the old dusty stairs at one of the temples, and while he was trying to tell me more about the place, this perfect photo opportunity appeared. I just love the look in his eyes. I often feel very reserved about taking photos of people, particularly when they are conscious that I am doing so. Are you the same? 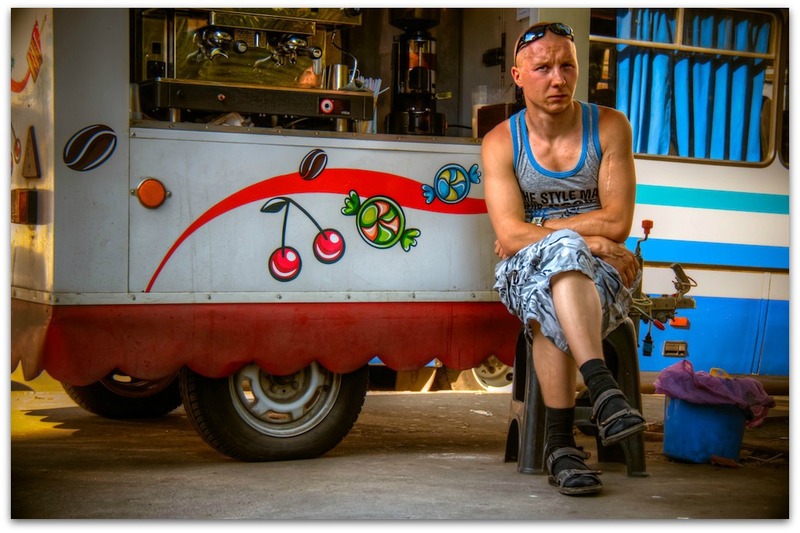 I used to be very reserved about it, but at the same time I knew that this was a major obstacle if I want to progress with my travel photography. I think I came to realize that after traveling around with my boyfriend, who is also a photographer and who has never had hang-ups about this! He doesn’t find it difficult to go straight to someone and ask them to take a photo. At the beginning I used to stay back and watch him, but when I saw how his shots turned out, I realized I needed to overcome this barrier. It was hard at the beginning, because the truth is you will get a lot of people who will just tell you NO, but at the same time you will get the few that will be very nice to you. I guess my main advice would be to definitely ask them first, and if they don’t agree, leave it! If they do agree, have a little chit chat with them to ease the atmosphere and, once you take the shot, show them how the photo looks, I’ve noticed a lot of people appreciate that! But how do you get around the inevitable problem of language barriers? Well, I always try to learn at least few words in the local language before I visit country, like “please,” “thank you”, “hello”, etc. As for the rest, I just point to the camera, then at the person, and smile 🙂 Usually this works—and trust me, the results will be worth the effort. Finally, do you have any advice for wannabe photographers (like me) who are traveling or living abroad? 1. Never leave your camera at home. The truth is, some of the most amazing photos are from the moments that come out the blue. It doesn’t have to be an incredible place, it might just be the street you walk down every day. Even if it’s just your iPhone camera, have something at hand. 2. Don’t let rejections stop you from achieving your dreams. I must admit, I have been trying to pitch different publications, blogs, magazines, etc for over a year and all I got were either unpaid opportunities or rejections. And it’s hard to keep motivated, when someone says that your photos are not good enough. But I’ve carried on pursuing my dream and finally, a year later, I am getting paid assignments and, what’s even more important, people are finally starting to look for me and not me for them. As a Community Manager at AsiaRooms.com, I source the photo and video content myself, so I get about 30 pitches a day from very talented people. The roles are reversed: I am the one who is telling someone that we will not be publishing their work. However, in most cases, it’s not because their photos are not good, it’s because the industry is so competitive and businesses like ours can choose only the very best. Knowing this helps me to deal with my own rejections. Thank you, Milda! Readers, what do you make of Milda’s advice on shooting people? 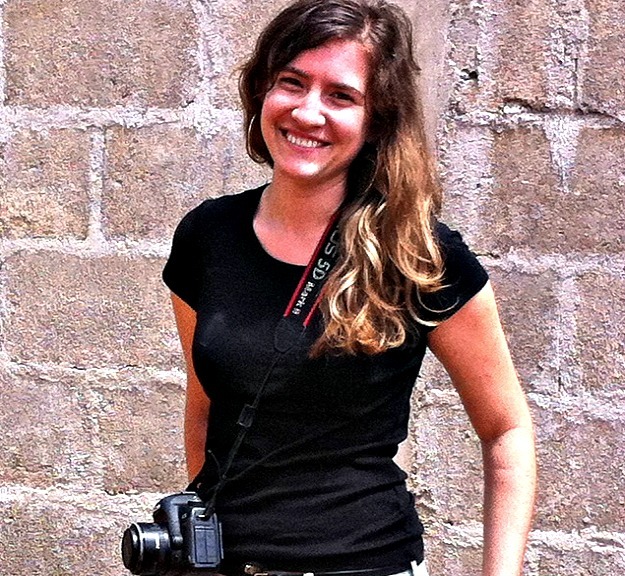 And do you have any further questions for her on her photography, travels, or anything else? Please leave them in the comments! Alison McGowan is rather famous among us expats in Brazil: a foreigner who has settled here and “made it” as an entrepreneur. 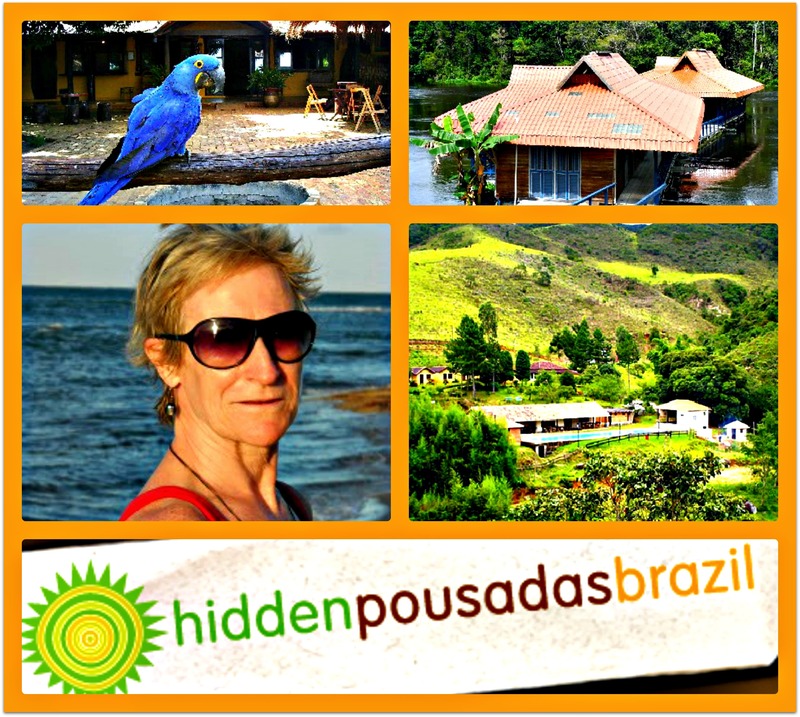 Her business is called Hidden Pousadas Brazil. Pousada literally means “place to land” or “place to stay”; but as McGowan explains on her About Us page, unlike in Portugal where a pousada is usually a luxury inn in a restored historical building, in Brazil the concept encompasses a much wider range of price and accommodation. Alison has visited and vetted many of Brazil’s pousadas on behalf of Western tourists who might be overwhelmed by a country of Brazil’s size and complexity. She offers a set of well-honed marketing services to pousadas that come up to her standard, consisting of an English-language Web page on her site optimized for Google, from which they can receive direct bookings. (She will also add social media and PR for a further fee.) And she provides an English-speaking interface for those pousada owners who lack the requisite linguistic skills to attract foreign guests. a rare English-language pousada site nicely curated by an expatriate Englishwoman, Alison McGowan. And the intrepid Michael Palin, while he finally added Brazil to his itinerary with a four-part BBC series last year, gave a shout-out to McGowan for her “gorgeous pousada” recommendations. I caught up with McGowan recently on behalf of the Displaced Nation and peppered her with questions about her business success story. Any wannabe displaced entrepreneurs out there, listen up! Olá, Alison! Tudo bem? Thanks for agreeing to be interviewed for the Displaced Nation. How long have you been working in Brazil? I established Hidden Pousadas Brazil in 2008 but have a long history of working with and in Brazil dating back to 1979 when I was sent out to set up the first office for Oxford University Press. In 1984 I decided to return to UK but continued working with Brazil over the next 18 years before returning to the country definitively in 2002, bringing my old business in educational marketing—called Florence Associates—with me. This lasted me very well until 2008, when the increased use of broadband Internet and students booking direct with schools effectively put paid to the business model. Hidden Pousadas Brazil was a very lucky idea which came to me at just the right time. It never occurred to me to go “home” when the other business ended. Let’s go back even further in time. What first attracted you to the country both of us now call home? I lived in Paris for a year in the early 70s and that was where I first discovered Brazilian music, and Brazilian musicians. I fell in love with both! I love the people, the attitude, the optimisim, the energy and the light. As an Englishwoman, do you ever feel “displaced”? I rarely feel “displaced” but had one such moment yesterday when I realized I had spent over a thousand reais paying company bills which were actually optional. My Britishness and desire to be up to date with payments had blinded me to the possibility that anyone would or could legally send an official demand for something which I actually didn’t have to pay. Have you reached a point where you now feel more comfortable in Brazil than in Britain? I feel totally comfortable in both countries and move easily between them, partly because I am pretty well bilingual and understand both cultures very well. People here often refer to me as a gringa carioca—basically a foreigner who is at the same time someone from Rio de Janeiro. Brazilian musician friends just introduce me to others as a fellow musician. Nationality isn’t usually mentioned. You said that Hidden Pousadas Brazil was a “lucky idea.” Where did it come from? I was super stressed from running a huge cello festival in Rio and asked a friend for a recommendation of somewhere to stay where I could just chill out in peace for a while. He immediately told me to go to the Pousada Santa Clara on Boipeba. I had no idea at the time where Boipeba was or indeed what a pousada was, but I went and discovered paradise—a traffic free island with endless deserted sandy beaches fringed by palm trees and a lovely, friendly pousada guesthouse to stay at. I thought if this paradise existed there must be other paradises in Brazil, and I reckoned I knew quite a lot of people who would like to be in paradise if they only knew it existed! Hidden Pousadas Brazil was born. Had I not lost my rather well-paid job in the UK, I might not have started down the entrepreneurial path. That was the original stimulus. But now that I’m on my second business, I can’t imagine working for someone else again! What’s been the biggest challenge of running your own business in Brazil? The most challenging part is undoubtedly Brazilian bureaucracy and tax system. It is both expensive and time consuming to get it right. Meeting so many satisfied travelers who have been choosing pousadas and trips just using the recommendations on www.hiddenpousadasbrazil.com. I can’t imagine doing anything else right now. Once Hidden Pousadas Brazil is in a mature phase and is no longer challenging, a logical step would be to move into consultancy, public speaking and training for pousada owners, but whatever I do would still have to allow me extensive travel in offbeat Brazil! Right at the moment a few pousadas on deserted beaches in Piauí, Ceará, Maranhão, and Rio Grande do Norte are beckoning; also some places near the capital city of Brasília such as Pirenópolis and São Jorge in the neighboring state of Goias, as well as in the historical cities of Minas Gerais. It sounds as though you still have a lot to explore. Have you left Britain behind, or will you go back to live some day? I will be here in Brazil for as long as good is good, but I still go back to the UK twice a year, and could easily run the business the other way round, living in the UK and coming over to Brazil a few times a year. Do you have any advice for anyone else wanting to be an entrepreneur in Brazil? I wouldn’t do it unless you speak Portuguese fluently, understand the culture, have tons of patience, considerable money and support behind you, AND see a gap in the market for that brilliant idea you are passionate about! If you’ve got all that then go for it! The rewards are enormous. We understand you are creative in another way: as a travel writer. Do you have any books planned? I have plans for two forthcoming books: one just entitled The Hidden Pousadas of Brazil and the other on foreign immigration and entrerpreneurship in the Amazon in early-20th century Brazil (title still to be decided). É boa pra caramba! We look forward to featuring one day on the Displaced Nation. Images: (Clockwise from Alison McGowan’s headshot) Pousada Araras Eco Lodge, in the northern Pantanal (home of the Hyacinth Macaw); Pousada Uacari (in the Mamirauá reserve, home of the uacari monkey); Pousada de Selva Mato Limpo (in the hills of the Serra da Mantiqueira); and Hidden Posadas Brazil logo.